The most deliciously simple Apple Coleslaw made with a perfectly creamy ‘KFC style’ dressing. Quick, easy and a family favourite! 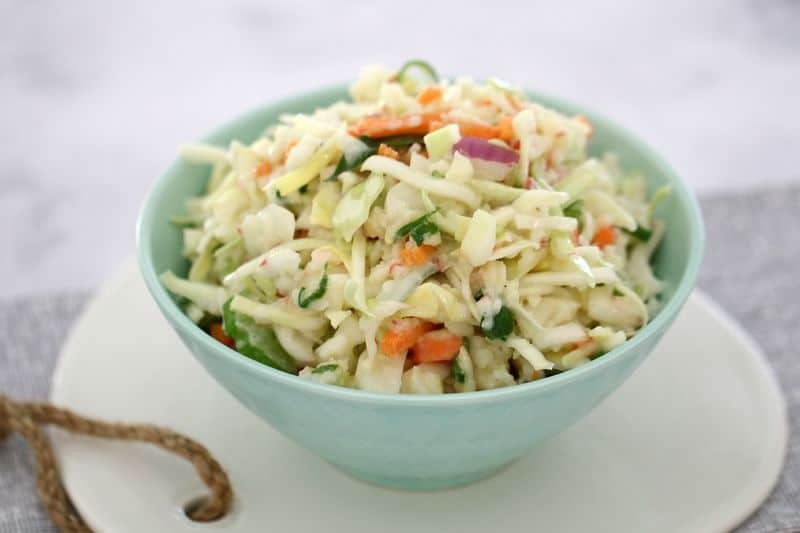 Need a deliciously simple apple coleslaw recipe in your life? How about one that has the yummiest creamy dressing? Well this is the recipe for you! It’s the perfect salad, the best partner to pulled pork, the quickest and easiest side to a BBQ chicken… the list could go on and on. You know that spring has officially sprung when you start craving salads again. 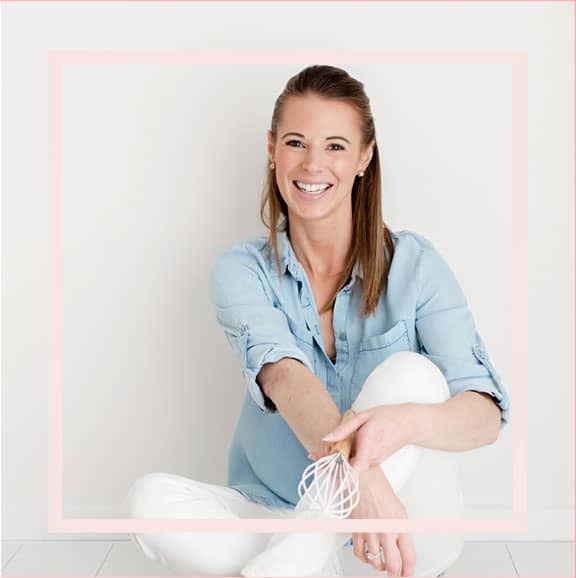 Yep, I’ve kicked my favourite soups to the curb and am embracing the sunshine, BBQs and all of the fresh ingredients that come along with spring. The only downside of this beautiful time of year is hay fever and allergies (if you get them too, I feel your pain!!!). BUT I can totally break through the stinging eyes with a yummy bowl of apple coleslaw. This salad is packed full of vegetables – carrots, cabbage, celery, spring onions, red onion… you name it – it’s in there! And that’s not even the best part. 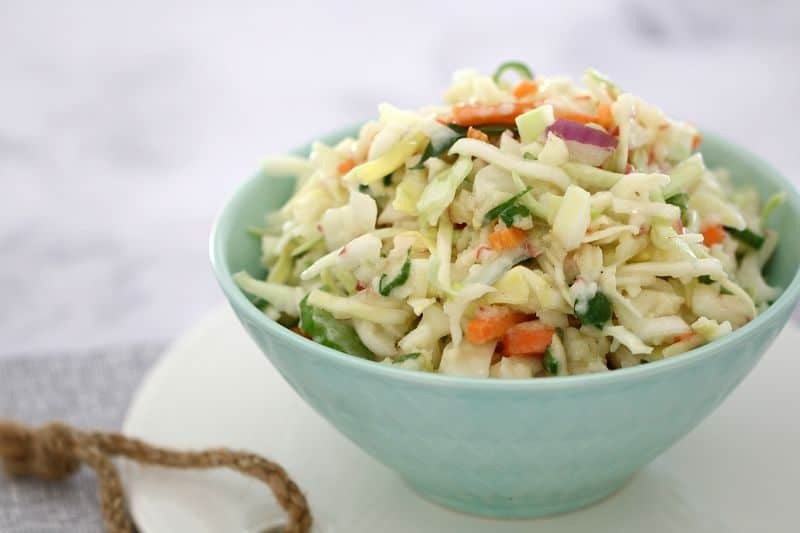 Nope, the best bit is the apple – it takes this coleslaw to a whole new level of yumminess. Oh and did I mention the incredibly yummy dressing? It’s so creamy, tangy and delicious. 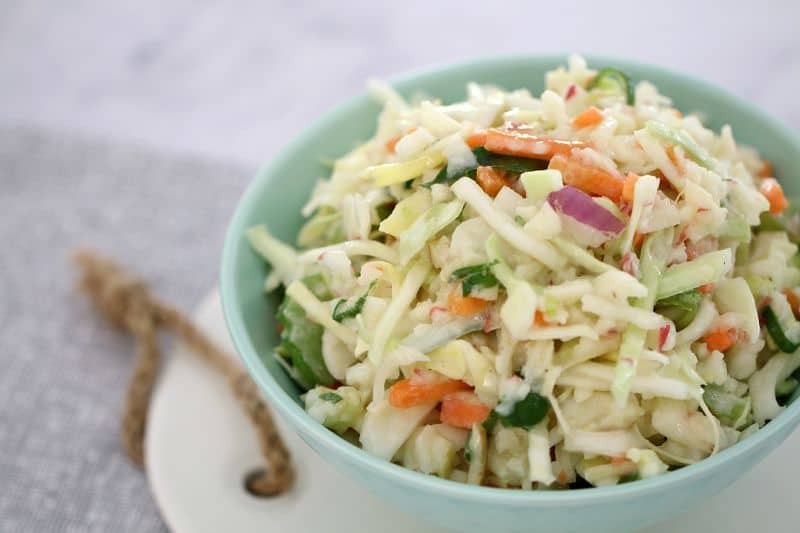 You’ll fall head over heels in love… with coleslaw (hehehe!). I like to use buttermilk in the dressing, however, if you don’t have any at home – don’t go and buy a carton! Just mix 1tsp of lemon juice or vinegar into 1/4 cup of milk and you’ll have perfect buttermilk in no time. 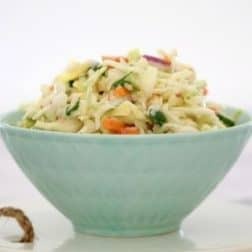 To make the coleslaw you just grate/finely chop the vegetables and apple, and pop them into a bowl. Add the dressing ingredients to another bowl and whisk well to combine. Pour the dressing over the coleslaw and mix together. I like to leave this coleslaw in the fridge for at least an hour or two before I use it, as all of the flavours really ‘smoosh’ (!?) together during that time. Oh and give it another little stir just before serving. 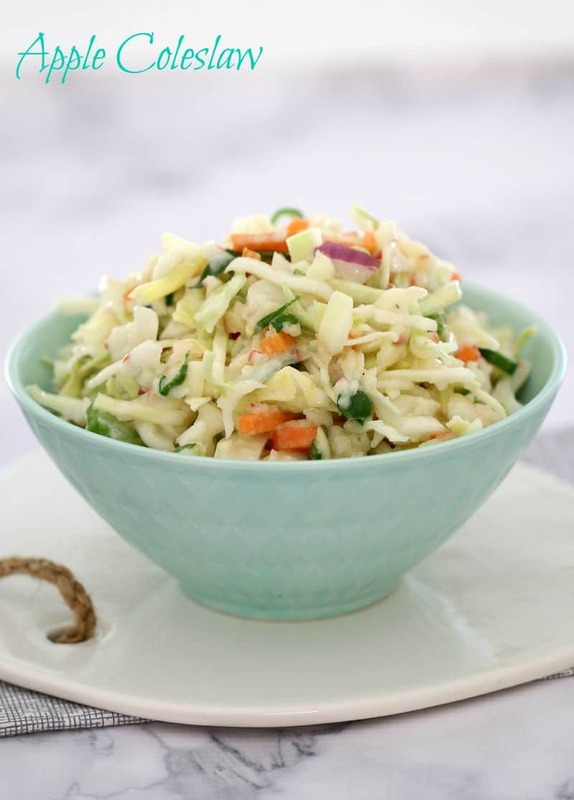 You are seriously going to LOVE this apple coleslaw. It really is perfect ‘sunny-weather’ food! Serve it with a BBQ or my favourite Slow Cooked Pulled Pork! 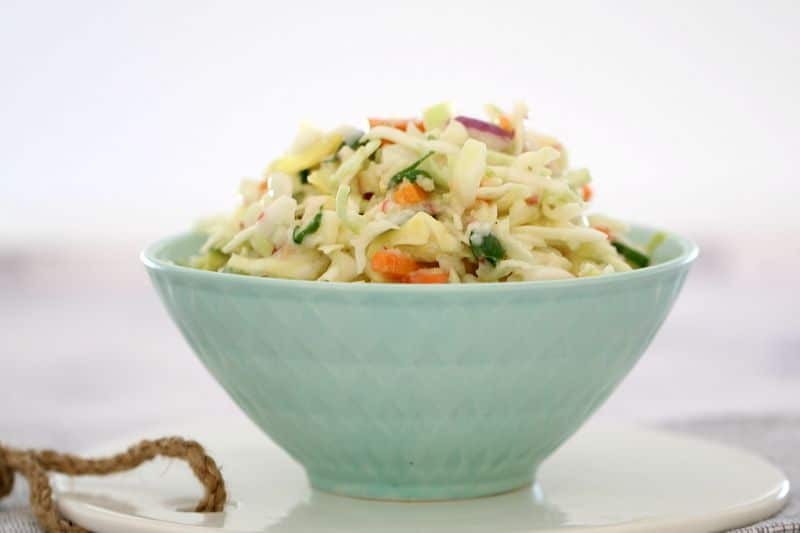 The most deliciously simple Apple Coleslaw made with a perfectly creamy 'KFC style' dressing. Place finely shredded cabbage, carrot, celery, spring onion, red onion and apple into a large bowl and toss together. In a separate bowl, whisk together the mayonnaise, buttermilk (see tip below), lemon juice, apple cider vinegar, caster sugar and salt and pepper. Pour the dressing over the coleslaw and mix to combine well. Place into the fridge for at least an hour before serving. Place the mayonnaise, buttermilk, lemon juice, apple cider vinegar, caster sugar, salt and pepper into the TM bowl. Mix on Speed 6 for 20 seconds or until well combined. Add the cabbage, apples, carrot, celery, spring onions and red onion to the bowl. Chop on Speed 4 for 2-3 seconds. Scrape down the sides of the bowl and repeat until the coleslaw is the consistency you would like. Pour over the dressing and stir to combine. Buttermilk tip: If you don’t have any buttermilk – simply mix 1tsp of lemon juice or vinegar into 1/4 cup of milk and you’ll have perfect buttermilk in no time. Yum! Another simple side for spring, or any season come to that! Looks delicious! thanks lucy! … healthy and pretty! even I could manage this one! Hahaha it’s a bit like that isn’t it! This looks delicious, I think I could eat a bowl of it all by itself!